Peck & Chisel Lovingly Create Beautiful, High Quality, Fun Products that are Practical and Made to Last. For those of you who haven’t shopped with us before…. we make amazing things. Every last detail of our products is carefully managed and considered, to create lasting and beautiful pieces, handmade especially for you. Our stylish edit of personalised home pieces, is aimed at the independently minded who want to create a bespoke and unique home. 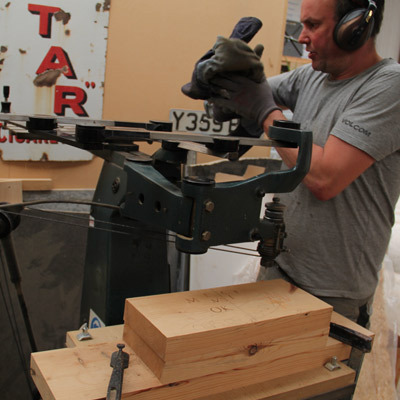 Our talented artisans, with decades of experience, skilfully manipulate sustainable European Oak and American Walnut. 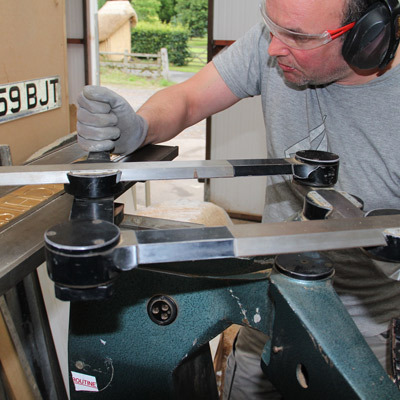 Devon is a haven for dedicated craftsmen and so lucky for us, our workshops are in the foothills of Dartmoor. And we give the option of having your piece personalised with our beautiful vintage pantograph machine, just to make it more personal. A rural business with city and country lifestyles in mind, the design ethos behind all Peck & Chisel’s products is style and function, practicality and beauty. A quirky combination of city and country – We love what we do and we do what we love. Peck & Chisel is Geri Carden and Mat Askham. Geri has a business background and moved down to the South West five years ago. 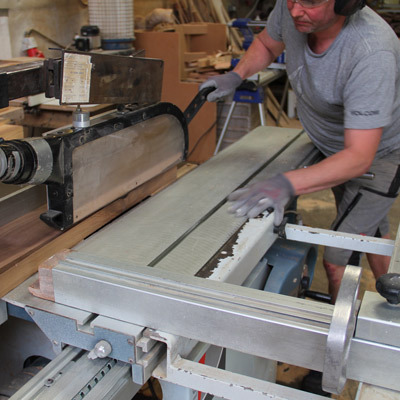 Mat has been working with wood for over 35 years and also runs his own bespoke kitchen design business, Mat Askham Kitchens. They both believe in producing only the best quality workmanship and finish and are continually searching for new and innovative ways of working with natural materials, and producing designs that people are proud to own. 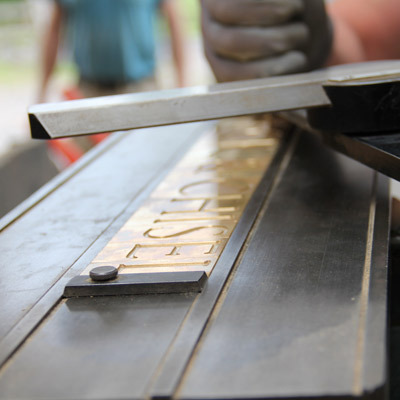 Mat’s long involvement with producing high quality larger pieces, enables Peck & Chisel to work not only with the retail customer, but also with Country House hotels and other corporates, producing larger bespoke products and longer runs of individual pieces. Get in touch if you would like to discuss any specific requirements or Corporate gifts.